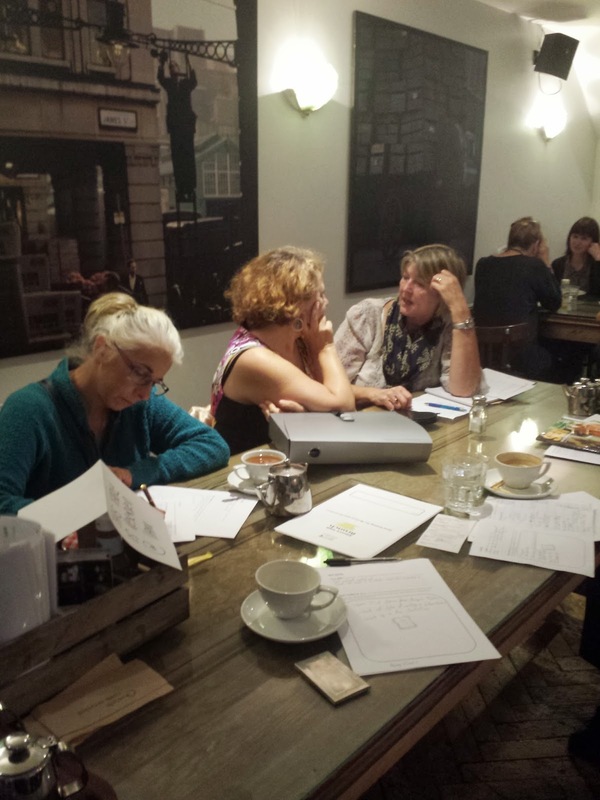 For most of this year SCBWI-ers have been meeting once a month on a Thursday morning to discuss their writing and illustrating aims, set goals for the future and find out what they have achieved from the previous month. It’s all pretty informal. 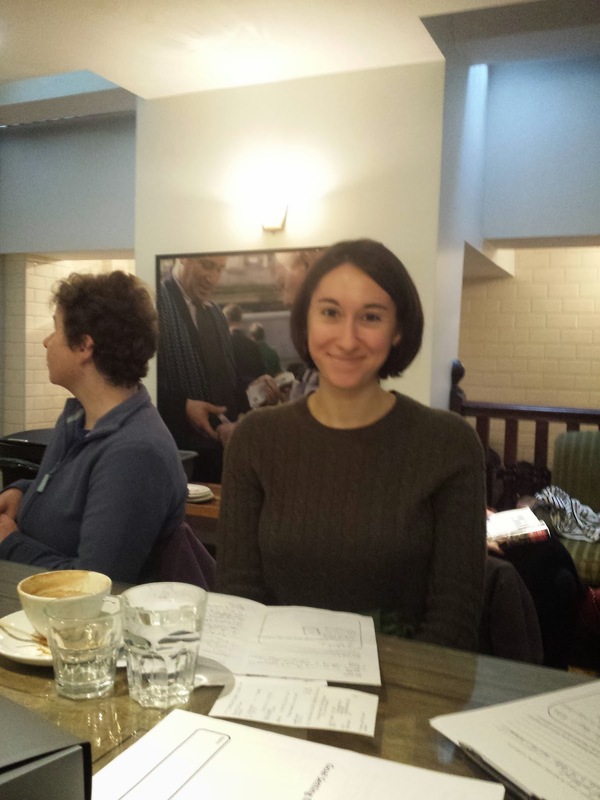 We meet at a central London cafe that does good coffee, cake and lunch. Once people have arrived we go round the table saying what we’ve managed to get done of the goals we had set ourselves the previous month, and what new goals we are setting for the next month. If someone hasn’t been to the brunch before then it’s nice if they can tell everyone else what sort of thing they write or illustrate before diving into talking about specific goals. It’s mainly the act of writing it down – which forces you to be clear and specific – that’s helpful. Thanks to SCBWI-er Michelle Newell we also have some handy little print-outs on which we write down our goals. Each printout contains space for your long-term goals, and space to break those down into more manageable pieces. But a plain piece of paper could do the same job. Goals can vary from getting through X number of chapters per week, to getting your manuscript ready to send out to agents, to working out how to use Twitter. Inevitably a little of our non-writing/illustrating lives seeps into the meetings too – sometimes it’s hard to totally separate out your writing or illustrating goals from your general life goals, as one might be stopping you from getting to the other. Whatever the goal is, telling someone you’re going to do it helps. It’s true, the food is very good. After going around the table and writing down our goals we’re usually all a bit worn out and peckish, so we have some lunch. Then the whole thing devolves into general chat, usually writing-related. The brunches are a forum for solidarity, the pooling of wisdom, and fortuitous connections. Aside from making it easier to stick to our goals, an unforeseen advantage of the brunches has been the tips SCBWI-ers are able to give each other. One person will mention her goal to get an article published, and another will suggest a suitable magazine. One will say his goal is to hammer out the rest of his plot, another will recommend a brilliant screenwriting book that might help. Now that the midweek goal-setting brunch has been going for a while, I’m taking a step back and looking for anyone else who’d be willing to take the reins. 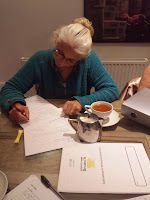 All it involves is posting details of upcoming meetings on the various SCBWI websites (once a month), and keeping things on track at the meetings themselves. That’s just a question of making sure everyone gets a turn to speak and that we each really pin down what our goals for the next month are going to be – otherwise it’s all too easy to talk a lot but not really commit to anything! It would be very easy to set up your own Goal-Setting Brunch, should you wish to. Just write it down and tell someone you’re going to do it, and you will. 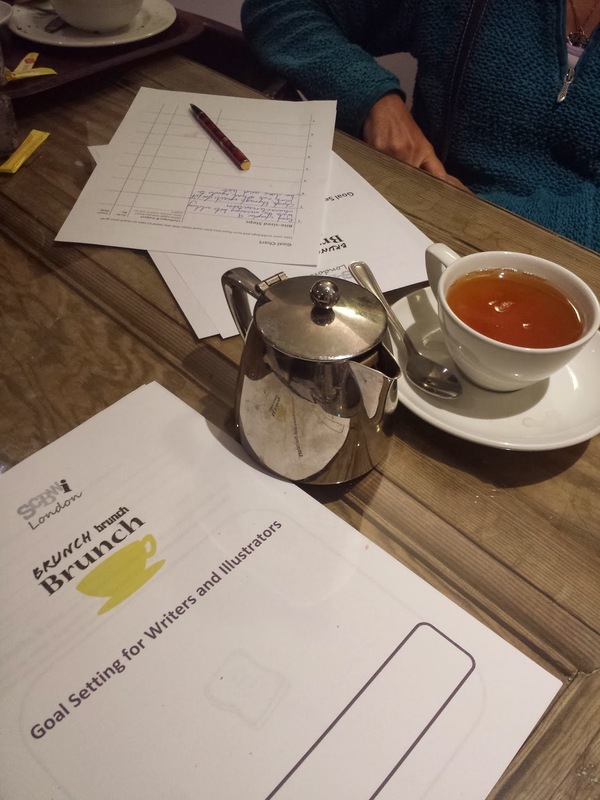 The next Midweek Goal-Setting Brunch will be Thursday, 12th December at 11am at the Fleet River Bakery near Holborn tube station. For other upcoming dates keep an eye on the Ning and SCBWI Facebook group, and if anyone is interested in helping organise the brunches (not that it involves much work) please get in touch with Miriam. Miriam Craig started off as a journalist on a local paper, interviewing comedians, councillors, and cats up trees. Now she's a freelance copywriter and part-time admin queen, allowing her to spend more time writing humour for 9-12 year olds. Thanks Miriam! I might try to do one of these goal-setting meetings over here in Cork, Ireland! Goal setting is something everyone can benefit from in any area of their life where they want to achieve something, but this is a great idea for writing and illustrating as I know we all procrastinate and need a little nudge sometimes. Thanks! Miriam, thank you for this - it's such a good idea and (so good we've adopted it in Southampton!). Very interesting to see that you get pen and paper out - this is serious business and Michelle's goal setting sheets look excellent. A great post!